Need affordable tickets for your trips on the second half of 2018? You are in luck, Cebu Pacific promo fares now up for booking! Book or buy Cebu Pacific sale tickets on these booking dates: until July 12, 2018 for Cebu Pacific Domestic promos and until July 15 for international sale tickets. 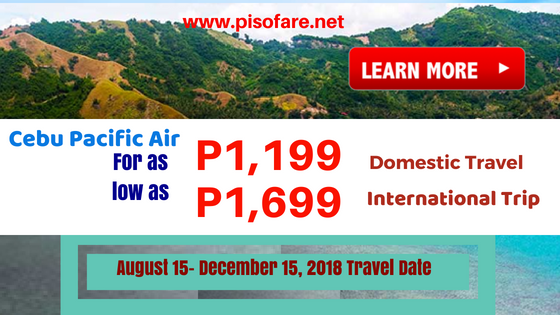 Promo fares to Philippine destinations can be used on August 15 to December 15, 2018 while sale tickets for trips to other countries are good for travel from September 1 until December 30, 2018. 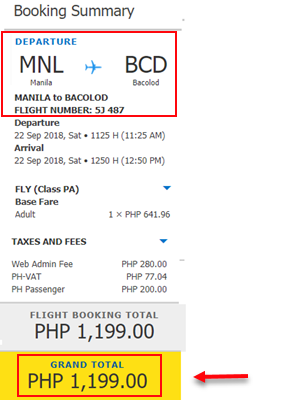 At P1,199 sale ticket price, you might say that Cebu Pacific domestic promo fares are not that cheap. However, take into consideration that you the cheap fares can be used next month and the succeeding months. 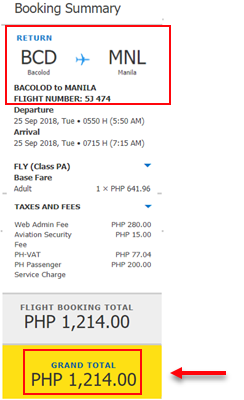 Also, Cebu Pacific promo fares are ALL-In Fare; the base fare, Web Admin Fee, taxes & fees, Aviation Security Fee and Airport terminal fees already included in the promo ticket. Book online at www.cebupacificair.com where booking does not need a promo code. Read This Guide in Booking Cebu Pacific Promo Fares Online. Buy the sale tickets at Cebu Pacific sales and ticket offices, accredited ticketing offices and travel agencies. Call Cebu Pacific hotline at telephone #: (02) 702 0888 (Manila) or (032) 230 8888 (Cebu) and book ticket with the company’s CSRs. Reminder: Web self-check-in services are available to passengers up to 4 hours prior to scheduled flight. Grab the Cebu Pacific affordable fares now, limited tickets on sale! Promo tickets can be used for your pre- Christmas getaways. Watch out for more promo fares 2018 to 2019 of Cebu Pacific, Philippine Airlines, Air Asia, Skyjet and other airlines in our Facebook: PISO FARE TICKETS!! !